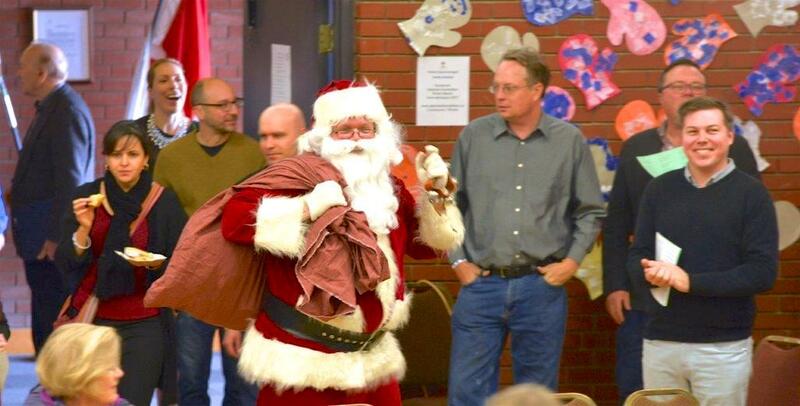 The most wonderful time of the year is here and Santa is on his way! As the year draws to a close, and all the confirmations, weddings and christenings have already been celebrated in families throughout our community, we can’t forget that one of the most anticipated events for Estonians in the Toronto area is still coming up. Come celebrate an Estonian Christmas/ Rahvajõulupuu at Toronto Estonian House! December 8 from 12-4pm. Our whole community will be coming together and you’ll find friends and familiar faces in every room of the Estonian House. Call or email your kids, your friends, your uncles and cousins (yes, even that one!) to invite them to the biggest community party of the year at the Toronto Estonian House. After all, it really would be great to have everyone together again, and see all the old familiar faces – and maybe even meet some new ones! Don’t forget to invite those Estonians who might just be visiting or have recently arrived from the kodumaa. Don’t we all know someone who hasn’t been seen in our community for awhile? This is the perfect casual event for everyone – eat, drink and be merry Estonian-style. Enjoy Song and Dance! There will be great performances from the adorable kindergarten children and the students of the Estonian school. Kõla, the band of the Estonian Scouts and Guides will play a few seasonal tunes to get us in the mood. Twirling across the stage in full folk costume, Kungla will get us all clapping and tapping our feet to the polkas and tunes of traditional folk dancing. But don’t just sit there – sing along! Estonia choir will be leading a festive singalong. Check the program so you don’t miss a thing! Esto treasures for every home! All the Estonian organizations will be represented in the Great Hall so you can get to know them and all that they do – for the first time, or all over again. Plus, AKEN/EERK – famous for organizing many Hiigelbasaars, will be there with the fascinating ”Esto boutique” with unique cultural finds. Esto is always in style! Or, if you are more interested in Estonian art, EKKT will be having a show and sale in the Gallery Hall. Don’t forget to visit the Crystal Hall to shop the fabulous Artisan Marketplace – just the spot to find that the special gift. Activities Galore! The shooting range on the 3rd Floor will have an open house that day as well. Visit the club and see if you can hit the bullseye! Also on the 3rd floor, the Scouts have organized a Bouncy Castle and popcorn treats for the kids – so much fun, it’ll be hard to tear them away! 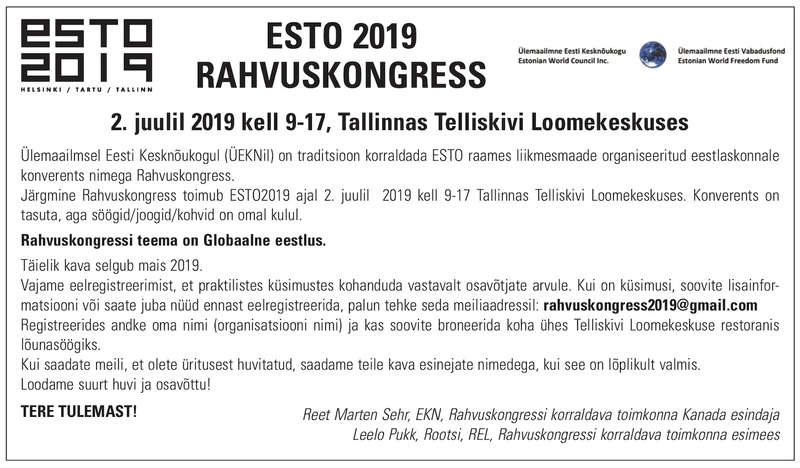 But don’t forget to visit the Guides in the basement – they will have homemade treats and traditional Estonian blood sausage (verivorst) for sale. But line up early! They are guaranteed to sell out. Eat, Drink and be Merry! Be sure to make time for some great Estonian food. Ülle Veltmann will be offering up all of our favourites (Rosolje! Rye bread!) in the Cafe downstairs – and for dessert, Kringel and coffee in the Gallery Hall upstairs. And, did you hear? The Jõekääru Päkapiku Pub will be back in the Café as well, running a fundraiser Pub for the children’s camp. Prosit! Santa is waiting for you! We heard from the North Pole that our special Jõuluvana will be arriving at 12:30pm. Join him and have your picture taken – grown-ups too! At Christmas, we are all kids, after all! 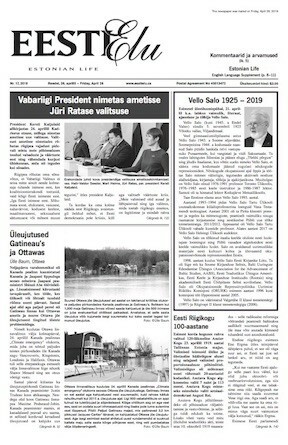 Let’s enjoy our Estonian community and all the great people who are part of it. The doors are open for you and your family – no language required! Buy your tickets today! $10 in advance, $15 at the door. Children under 10 are free but still need a children’s ticket. Tickets at the Estonian Credit Union or www.estonianfoundation.ca.